La prosecuzione della navigazione sotto questo banner, l'accesso ad altra area del sito o la selezione di un elemento dello stesso (ad esempio, di un'immagine o di un link) comporta la prestazione del consenso all'uso dei cookies. Now drink healthy by substituting your daily cups with our patented coffee and beverages enriched with healthy properties of medicinal herbs, spices, dry herbal extracts. 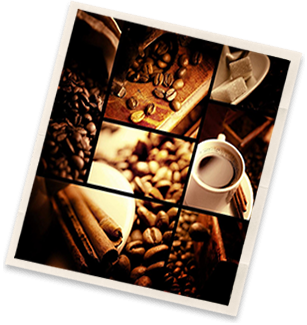 Cannabissimo Coffee®: two special coffees for ever young people. We offer also a 100% organic line, Naturesso® with 10 beneficial herbs or with healthy hemp seeds. 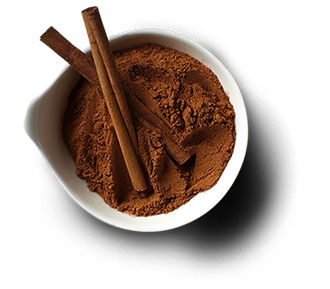 More Nature in your Espresso: two revolutionary delicious coffees for a daily safe use. 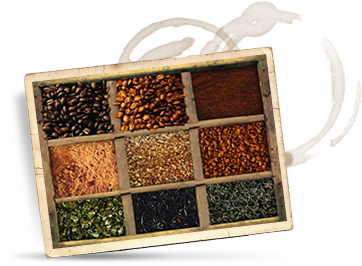 Spice up your habits and enjoy our healthy herbal blends enriched with some of nature’s most valued herbs and spices: a new healthy way to get fit and wellness simply drinking your daily cups of coffee, teas or barley. The main innovation is simple and at the same time revolutionary: Fitness Coffee (as also our other products Cannabissimo Coffee, Fitness Tea and Fitness Barley) can substitute advantageously in the daily diet traditional beverages as coffee, tea or barley and herbal tea, giving to the consumer a large number of health benefits. The important advantage is that the quantity and quality of ingredients are such as to provide to our body tens of beneficial properties every day. There are no added minerals, vitamins, forbidden herbs and spices, or any other component that could be indicated only for a short limited in time period. Our products can be consumed every day all life long. Coffee and tea are in daily use of everyone, so it’s hard to forget drinking 2-3 daily cups of our Fitness coffee, Cannabissimo, Sensualcoffee, Fitness tea or Fitness barley instead of traditional hot beverages. 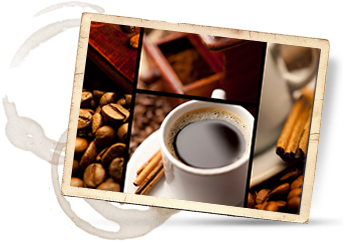 Other advantage for your customers: our products can be prepared in the usual preparation of each family as the respective traditional hot beverages. 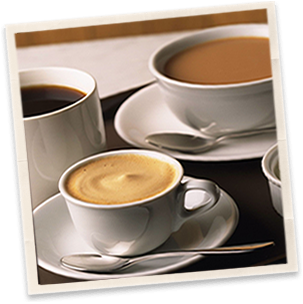 Our coffee and barley blends can be brewed with drip-filter, espresso, French press, stove-top moka, boiled, etc. Fitness Tea is packed in single-dose pyramidal bags with the advantage of using loose tea (whole leaves, pieces of fruits, herbs, seeds etc.) instead of tea in powder. All our products are 100% natural and vegetal entirely made in Italy. All the ingredients are safe according to the actual suggestions, laws and rules of Ministry of Health and EC. All products are sourced from certified Italian and EC suppliers that guarantee freshness, high quality and nutritional values of each product. Further news here. 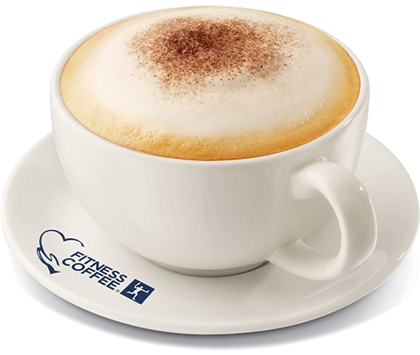 Fitness Coffee® and other our registered brands of healthy beverages, are innovative patented products manufactured in Italy. It's an all natural way to replenish your body's needs through your daily cups of hot beverages (coffee, tea, herbal tea, etc.) helping to get more energy, faster metabolism and large quantity of precious antioxidants. As for the taste and benefits of our products, thousands of consumers have appreciated the positive effects on their bodies drinking them every day, furthermore they often find our drinks more tasty of their usual ones. All products described in this and all other related Websites are international registered marks & patents owned by Fitness Coffee GVM I.E. Follow Fitness Coffee on the following social network sites.